Whenever one rides along the North Link Railway or drives down the North Coast Highway or the Taipei-Yilan Highway, a look out to sea always reveals Turtle Island standing proud in the big blue as if pointing the visitors to a trip into Yilan. It is also the most familiar marine landmark for the locals. With a total area of 2.841 square kilometers and a coastline of 8.73 kilometers, the island can be divided into the head, the back, and the tail. The head points towards southeast while the tail to the northwest. 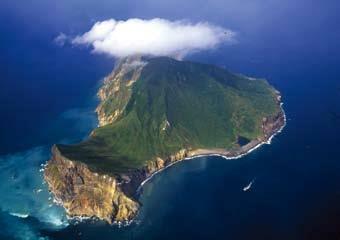 The back rises up to an altitude of 401 meters, the highest peak on the entire island. The tail of Turtle Island appears to be wagging when the seasons turn and the winds and the tides change. It adds to an element of legend to the place. No one knows when the first residents arrived on Turtle Island, but Han settlements on the island in 1820. In 1975, the entire population on the island moved and relocated in Renze New Village of Daxi. The Ministry of National Defense then took over and designated the village as a military restricted area. In 1978, the village was incorporated into Daxi. Since the end of martial law, there have been many proposals to open Turtle Island to tourists. 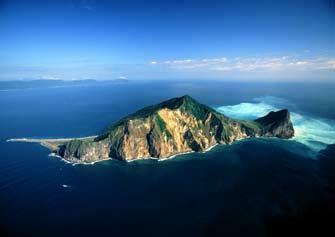 After years of dedicated efforts by the Yilan County Government, Toucheng Town Hall, and elected local representatives, the Executive Yuan officially included Turtle Island as a part of the Northeast Coast National Scenic Area in 1999 and reinstated Turtle Island Village in 2000. The future development plans of Turtle Island will focus on preserving the culture and ecological resources on the island through low-density development. The plans will also incorporate whale watching on the nearby waters to create a popular attraction on the Blue Highway in northern Taiwan.